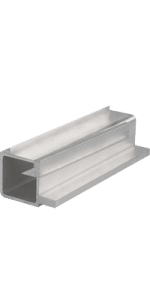 Our heavy-duty aluminum Structural Framing System (SFS) is a simple method of designing and building frames and enclosures to special size and high strength requirements. 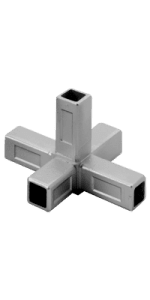 This unique AMCO Enclosures system provides a selection of 14 aluminum extrusions (1.50″ OD) and 8 types of corner castings (0.125″ wall thickness). 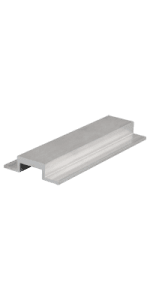 The flanges in the extrusions accommodate .625″ formed panels and .125″ flat panels (made upon request). 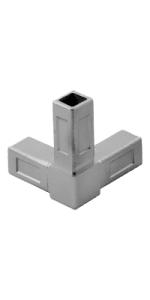 The system accepts locking clips (provided standard) for permanent designs or non-locking clips (optional) for prototypes or planned disassembly. 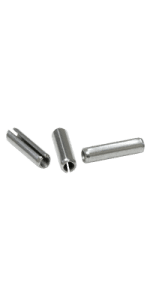 When reinforced with bolt-on gussets, SFS assemblies can meet MIL-STD-167-1 shock and vibration requirements. 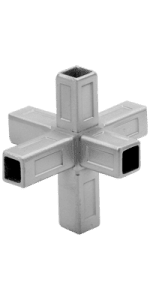 Castings are furnished with locking clips for assembly to extrusions. 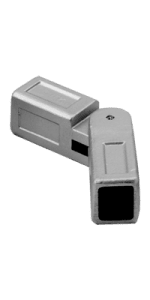 Special services available include: machining, hardware installation, marking and packaging. 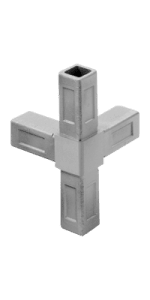 Note: Casting legs are undercut when necessary to provide optimal fit (structural integrity not affected). 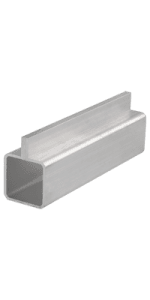 Maximum extrusion length is 20’. 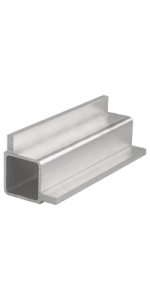 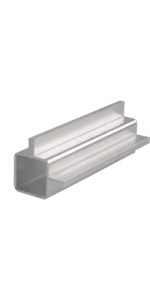 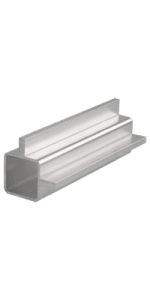 Extrusions are supplied without mounting holes. 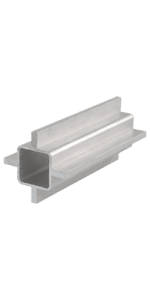 Extrusions will be pre-cut to length and mitered to 90° angles at no additional cost. 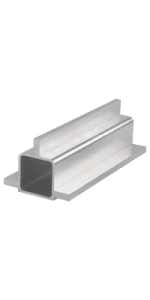 Note: Tolerances are in accordance with the aluminum association standards as applied to extruded shapes. 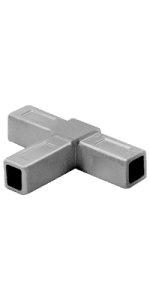 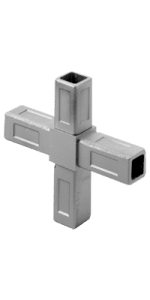 ALG: Aluminum Gussett with Hardware The addition of simple bolt-on 3/16″ (4.76mm) 6061T6 aluminum gussets provides reinforcement that will meet MIL-STD shock and vibration requirements. 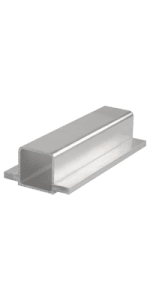 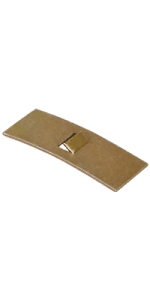 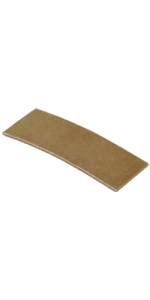 ALC-S: Locking Clips 21 ga. 0.32″ (0.81mm) 1075 SAE soft spring clips are seated between the casting and the extrusion for permanent locking. 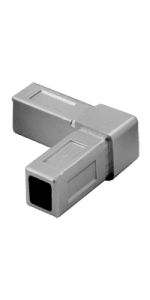 ALC-SN: Non-Locking Clips Non-Locking clips (optional) permit your HD Aluminum design to be assembled for trial purposes or for future disassembly. 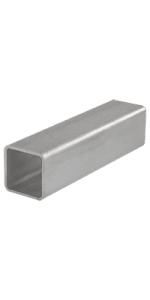 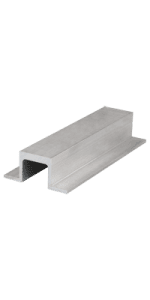 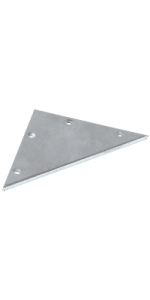 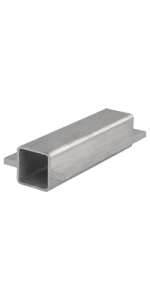 H264: Pins Spring type, corrosion resistant steel roll pins can be used with standard locking clips to provide a simple method of reinforcing the joint against axial strains in excess of 1,600 lbs.